Since discovering the wonders of hydrating toners, my skin has actually become quite normal compared to its previously dry and dull state. I love how they’re so easy to apply and feel lightweight on my skin, so I can move on to the next step much faster. The truth is, I often just slap several layers of toner on rather than apply moisturizer after because I’m lazy like that. Since the weather has become a bit chilly, I find that I now need to apply moisturizer again. I’m so used to my easy cleanser-acid-toner routine though, so I’ve been trying to look for ways to get back to it without sacrificing hydration. 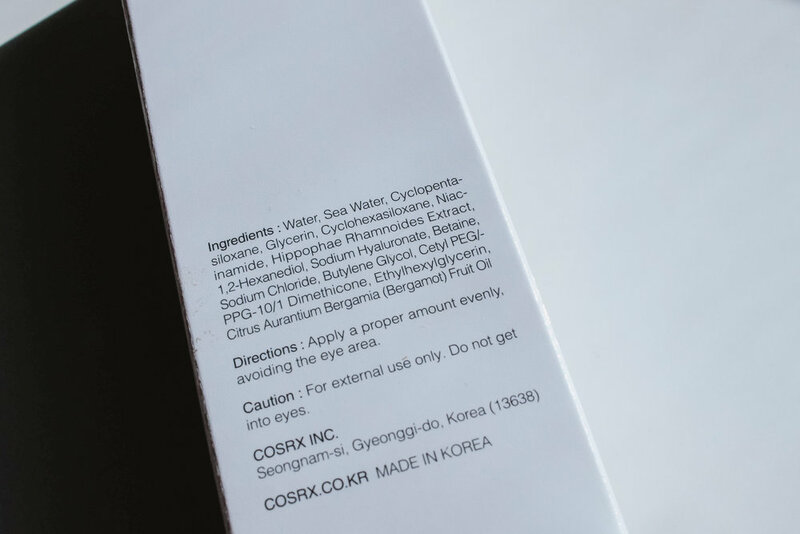 CosRX has been one of my favorite skincare brands since I first tried their BHA Blackhead Power Liquid two years ago, so I do get excited whenever they launch a new product. I love the clean, refreshing feeling that their Two In One Poreless Power Liquid gave my skin, and was convinced that their PHA line is the real secret to glass skin. But I was admittedly a bit puzzled when I heard about their newest release: a cream toner that turned into water? It didn’t help that the product name was confusing: the Light Fit Real Water Toner to Cream (P1,100 at theskincarecurator.com) seems to have gotten the words mixed up. The airless pump dispenses an opaque white cream that has the fluffy texture of a moisturizer, which turns into a clear, watery essence as you massage it into skin. The texture is wonderfully lightweight and rich at the same time, and it sinks well into the skin without making it feel greasy. The toner cream is so lightweight and water-like that I initially thought a single layer would not be enough. The instructions merely said to “apply a proper amount evenly, avoiding the eye area” so I decided to apply a second layer on the areas where I’ve been experiencing some dryness. I woke up the next day feeling a tad bit greasy on those areas, so I’ve stuck with just one application and find that it’s enough to keep my skin suitably hydrated. Like all CosRX packaging, the design is minimalist but well-considered. I was initially surprised by the size of the bottle, but the airless pump design does take up quite a lot of space. That said, the bottle contains a generous 130ml of product, and I love how this is so easy to use while keeping things sanitary! I wish they would put my favorite PHA Moisture Renewal Power Cream in a pump design as well. The bottle is made from a sturdy plastic material and comes with a cap to prevent the from being accidentally triggered. It can travel well but only as part of your check-in luggage since it’s above TSA restrictions. Honestly, the formula is hydrating enough that you won’t really need to reapply this unless you actually wash it off. I wasn’t able to test the product’s claims of being able to “create a clear complexion” but it does contain a combination of sea water (which is chock-full of beneficial minerals like magnesium) and niacinamide, an ingredient well-known for its ability to improve skin appearance and texture. It’s also formulated with sea buckthorn, a plant-derived antioxidant that’s rich in vitamin C.
Some concerns about the ingredients: the formula contains silicones in the form of cyclopentasiloxane and cyclohexasiloxane. 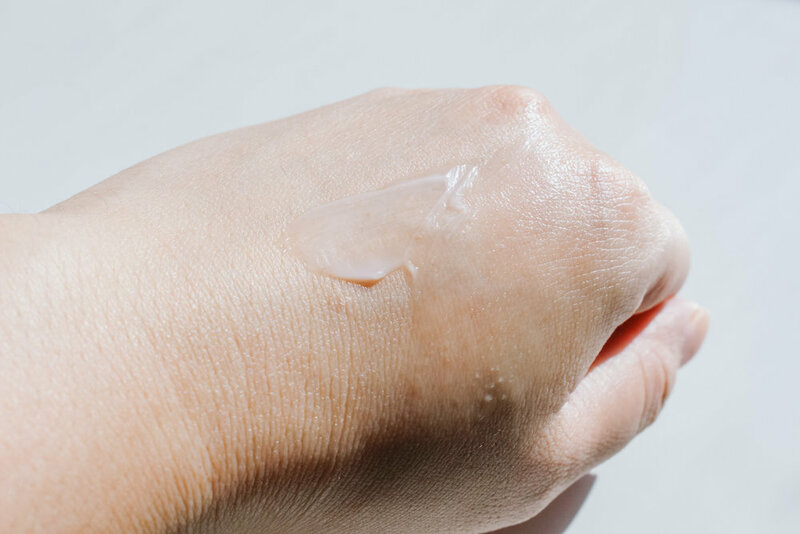 I personally have no issues with silicones in my skincare, and I like how the addition of this gives slip to the application and helps to retain moisture in my skin. If you have sensitivities to silicone though, I suggest patch-testing it first. Another potential red flag ingredient is the bergamot fruit oil that gives the formula a mild and pleasant citrusy scent. Citrus oils are known to have a photosensitizing effect but considering that it’s the last listed ingredient and is added as a fragrance, I don’t think there’s enough in the formula to make you any more prone to sunburn than usual. Just make sure to put on your sunscreen as you should daily! I’m very pleased to have found a new lazy skincare buddy in the Light Fit Real Water Toner to Cream formula, and it’s been helping my skin get back on track. I still like applying a separate hydrating toner/essence before putting this on, but I can definitely go straight to using this after cleansing. I do think that it’s something I’ll continue to use even when the weather switches to hot summers because the formula is really very soothing and comfortable. Plus, there’s no need to use cotton rounds for application! Would I reco this for oily skin? I think that it can work. The silicones used here are very lightweight and do not leave a residue, so this product is a great moisturizer option that provides both humectant (in the form of glycerin) and occlusive (in the form of silicones) properties. I also made my oily-skinned husband try this, and he likes that it doesn’t feel like he has anything on. What do you think of the cream-to-watery-toner concept? Would you give this product a try?